Some of you might think you got a great deal on your rental and maybe you have. However, we know that many expats in Ecuador are overpaying for their rental house or apartment. So consider the list below to see if you may be getting gringoed on your rent. 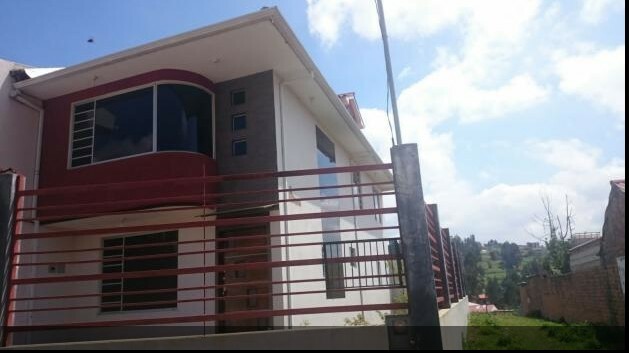 You procured your rental through an English speaking/ Ecuadorian real estate agent or online. You asked for any one of these amenities in your new place: views 2) elevator 3) by the river 4) near shopping 5) walk to Supermaxi.6) yard 7) a detached house. You took the first price that was quoted and did not negotiate. You compared the Ecuadorian rental price to what you WERE PAYING in the u.s.
You brought your u.s standards of living with you. You simply don’t care how much your rent is. You’re paying more than $400 (now new gringo rate $600 to $1200 for a house) for an unfurnished 3-bedroom 3-bath house, or you are paying more than $350 for 3 bedroom 3 bath apartment that does not have 24 hour security or elevator. None of these are a guarantee that you are getting gringoed, but we think you should use it as a gauge to see if perhaps you just might be over-paying for rent. Note: There are many variables that go into the price of a rental including but not limited to, whether bldg. has an elevator, square footage, foreign owners or local owners, etc. etc. Houses have higher rents than apartments. See our videos of beautiful homes in Cuenca for between $250 and $400!! What (can) happen when you put an unscrupulous Ecuadorian and an unscrupulous Gringo together doing business? A lot of things can happen. Here’s the latest. BTW, some of you may have already dealt with these two buffoons and you’ll know right away, who we are talking about. We went to go see an unfurnished apartment that was listed online, as a fifth floor, brand new apartment with great views and a huge terrazza for $550. Now understand, we saw the photos of the apartment. So we get out there and they proceed to show us an apartment but it was not the one they had listed online. We said to the two guys, “this is not the apartment you have listed for $550 dollars”. They just blankly stared at us. We said again, “This is not the same apartment we saw in the photos”. 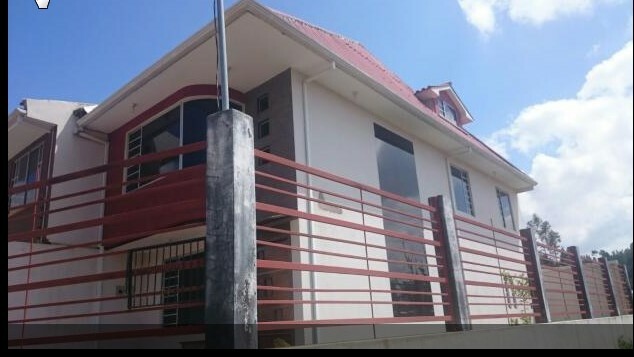 The now frustrated 40ish year old Ecuadorian rental agent begins to put the blame on the 70ish year old something gringo agent, saying “Did you get the photos mixed up, again”? The gringo apologized to his Ecuadorian partner for the mistake. The Ecuadorian scolded the older gringo over and over again (in front of us) for posting the wrong photos. It was like a scene from the three Stooges with Curly and Moe, which one was Curly and which one was Moe is not yet apparent. …the Ecuadorian gave us a big smile and piped up with “I know what you want, come on, I’ll show it to you”. So we all get into the elevator (now remember, this is considered a luxury apartment building and five people can’t fit in the elevator comfortably) to the top floor penthouse unit. When we walked in we knew that this was the apartment we saw online. We right away said, “This is the apartment we saw in the photos”. The Ecuadorian said, “But this unit is not going to be $550”. How come did we already know he was going to say that? At this point the obvious was made quite apparent; we knew we were in the middle of a bait and switch. Frank and I talked quietly amongst ourselves about what we were going to do next. For now we decided to just play along. Meanwhile about this time, after she had walked through the apartment, the expat woman renter came to us with love in her eyes because she told us, “I’m “in love” with this apartment”. What is it with gringos and views? Now, had she not cared about the apartment we would have walked already. Sure, the views were incredible but there was nothing special about the apartment. And well, all views in Cuenca are incredible. “Ok, how much is it?” It’s $850 dollars”. In the meantime we are becoming more annoyed at being suckered in on this bait and switch. Frank of course was not going to allow these two dodgy guys (and that’s nice way to put it for these guys) to get away with their unscrupulous dealings without letting them know he was on to them. 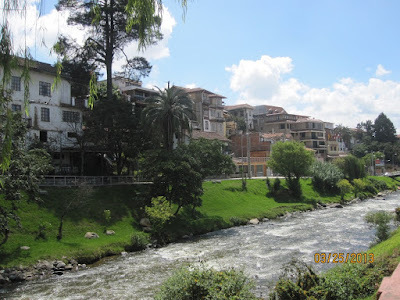 Frank looked right at the English speaking Ecuadorian and said, “This looks really bad on you and doing business like this will give you a bad reputation in the city of Cuenca.” The Ecuadorian nodded his head and seemed to agree and continued to blame the gringo agent. As long as the blame was not centered on him, all was okay…oh, you should have been there…It was comical. The expat took us aside and let us know she would pay $750 rent for the apartment if everything was included. She was not coy about it or quiet either; we were sure she was overheard because it was just a few minutes later when the gringo piped up and said, “They might go $750”. How funny. The Ecuadorian leaves the room to go make the call to the owner of the apartment. “Yes, she said your dog is okay too”. The Ecuadorian put his hands up and backed up slightly, shaking his head and said, “Oh no, that’s okay, tomorrow you can meet with the landlord and work out the deposit.” and "don't worry, everything will be ok". Always worry when you hear, "don't worry". So the next day, at the scheduled time we show up at the apartment, ready and willing to pay a deposit and look over the contract. The landlord is there, the expat renter is there and we’re there. So, first we find out that the owner is not really the owner after all, it is her brother and he’s in the states. So, we are dealing with the sister. To make a long story short, the sister who is assisting her brother was hemming and hawing about the small four pound dog and making all kinds of excuses about why she still needs to talk with her brother about renting the apartment at $750 and if the dog would be ok. In the meantime, we realized we were being strung along and that they were waiting for another gringo to show up (because they’ve been getting calls left and right about this penthouse apartment) and pay the $850 they were asking, or possibly more, thinking if a gringo likes it enough they might spend $1000 a month for this 2/2 unfurnished penthouse apartment. They’d just do the bait and switch game on them too. The Ecuadorian didn’t know that Frank understands Spanish and consequently Frank overheard him quietly tell the lady in Spanish, “I have other gringos that want to see the apartment”. And after she heard that she came back to us and said, “I’ll talk with my brother and get back with you”. That was three weeks ago. Apparently no gringos have offered to pay more than the $750 because the apartment is back online again with an asking price of $750! They obviously are not going to call us, since they know we are onto them and know they are shadier than Alaska during the wintertime. So in a nutshell, the two stooges, Curly and Moe continue to do business unethically in Cuenca Ecuador, shamming unsuspecting new gringo arrivals. This is a clear-cut bait and switch to be aware of in Cuenca Ecuador. One guy kept saying, don't worry everything will be ok, and they both said dog ok all along. Then they said, talk to the owner, which then turns out to not be the owner, and turns out that dog is not ok. You will be spun around like this and your time wasted. Having someone on your side makes it much less stressful. Think about it. We share this with you today to make people aware of what’s happening in Cuenca Ecuador. The reality is the rental market in Cuenca is saturated with rental agents, however most of them are honest enough, and if they are not, we quickly let them know we’re on to them; but once in awhile we run across a couple of punks like this and of course, we simply stop doing business with them. What else can you do? In Ecuador you are not allowed to publish names and harm someone’s (already bad) reputation, even though they are harming people’s lives. We will never use these guys again and we feel bad for anyone who accidentally does. Are Ecuadorians as Friendly as Everyone Says? 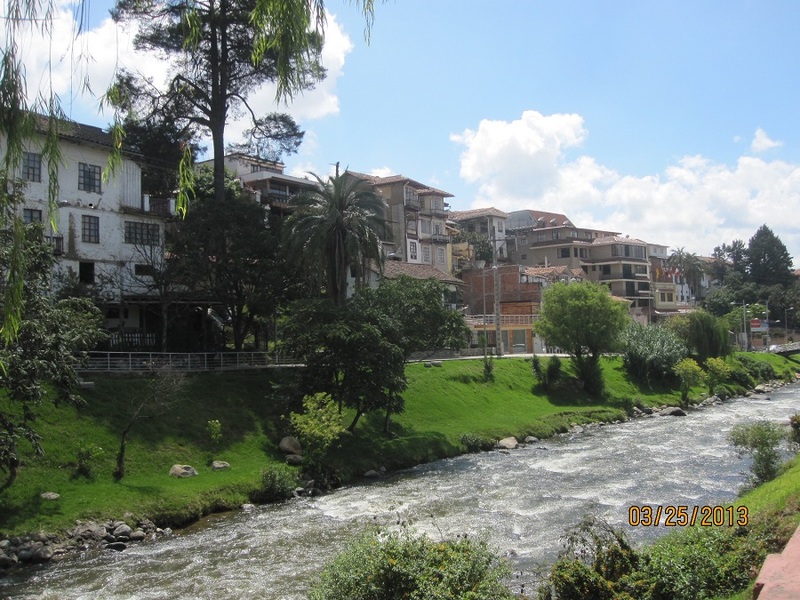 Does Cuenca Have Neighborhoods to Avoid from High Priced Rents? Today Robert and Joy Cohen are talking with us about their experience using Gringo Good Samaritans Best Package in Cuenca Ecuador. Another happy couple who chose our BEST HELP Rental Package in Cuenca Ecuador!